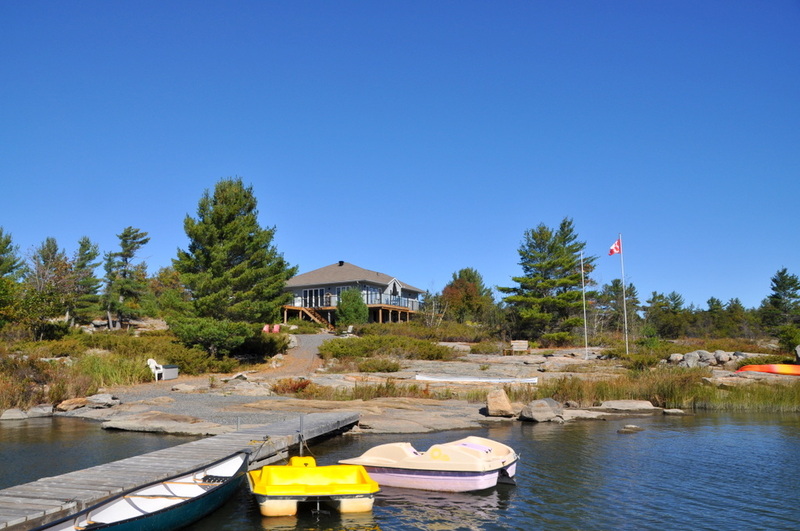 What’s not to enjoy at this expansive waterfront property situated on the beautiful shores of Georgian Bay?! 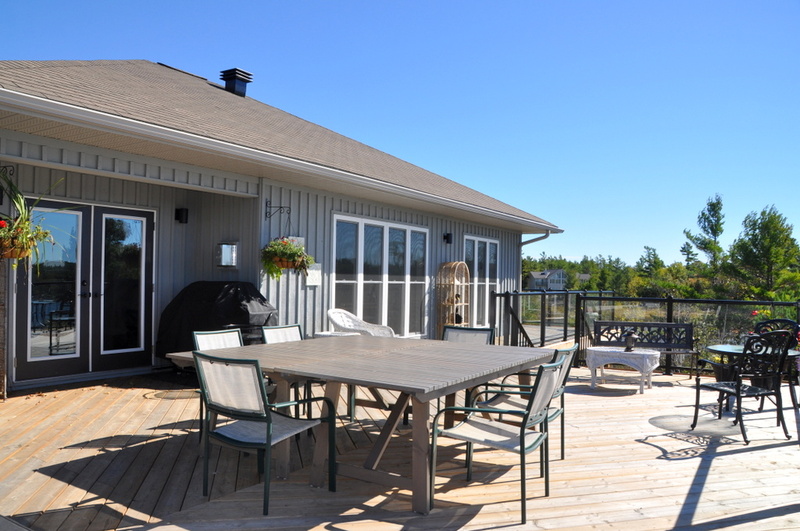 Swimming, canoeing, kayaking, boating, fishing and even indulging in a late night hot tub on the generous sized deck. 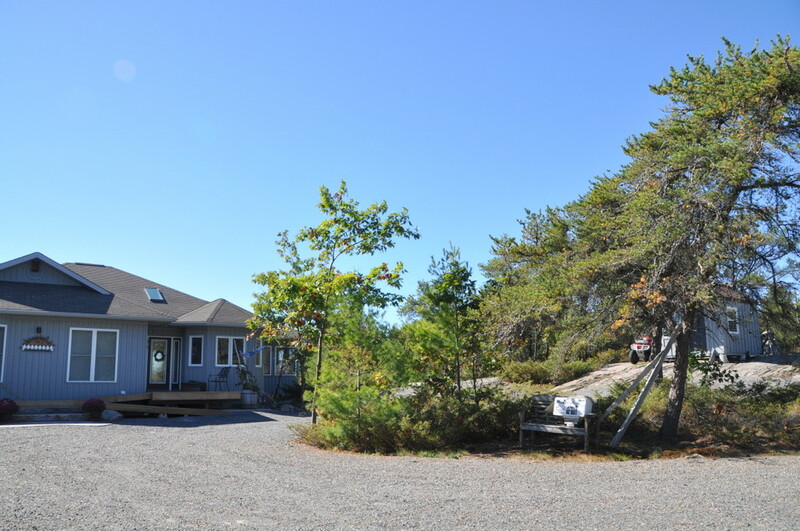 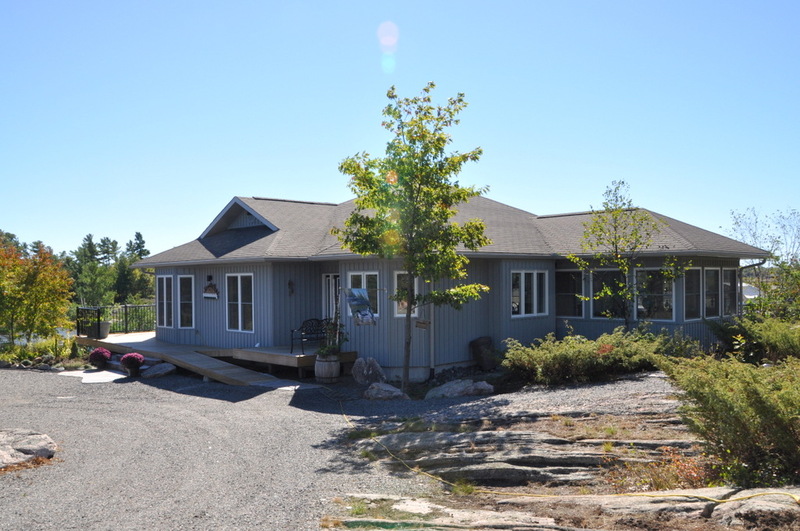 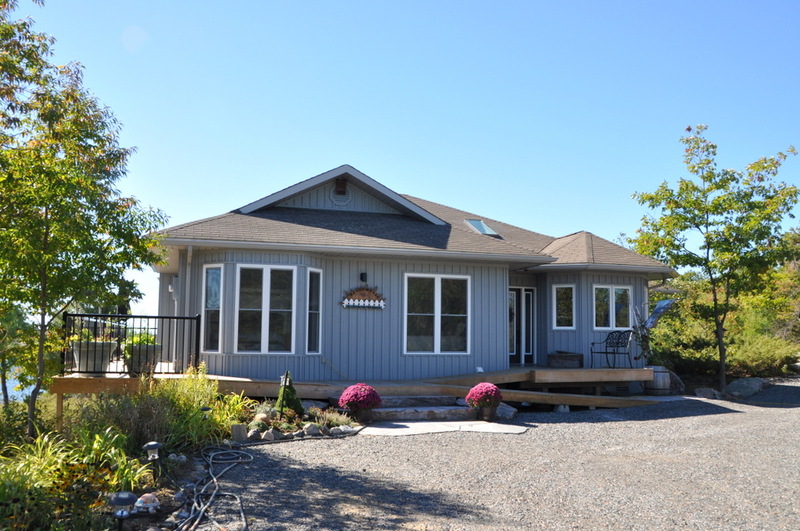 Enjoy tranquil privacy here on this 4 acre point with over 400 feet of waterfront! 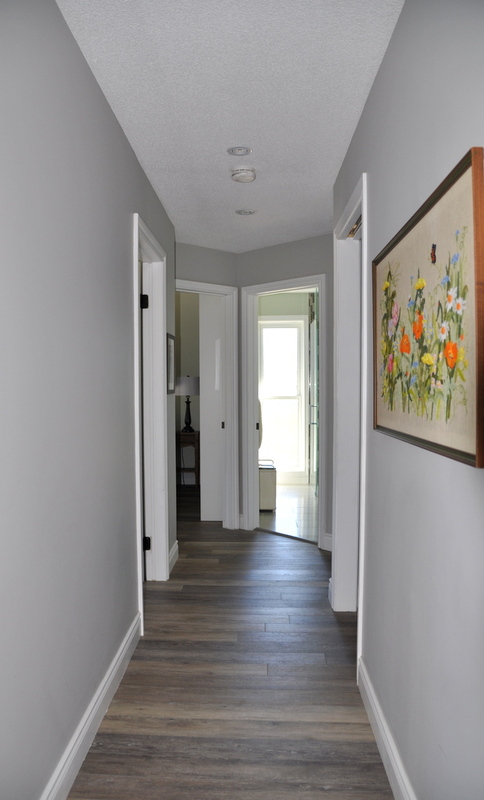 This gorgeous one level, 3 bedroom, 1,400 sq. 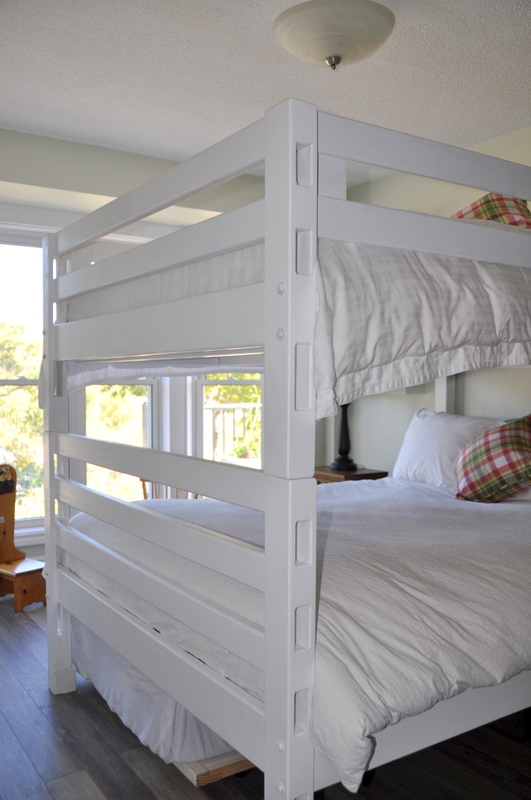 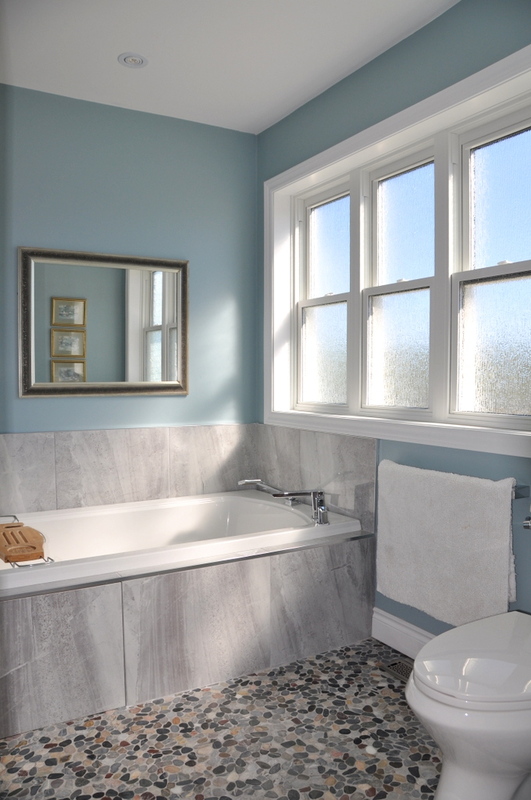 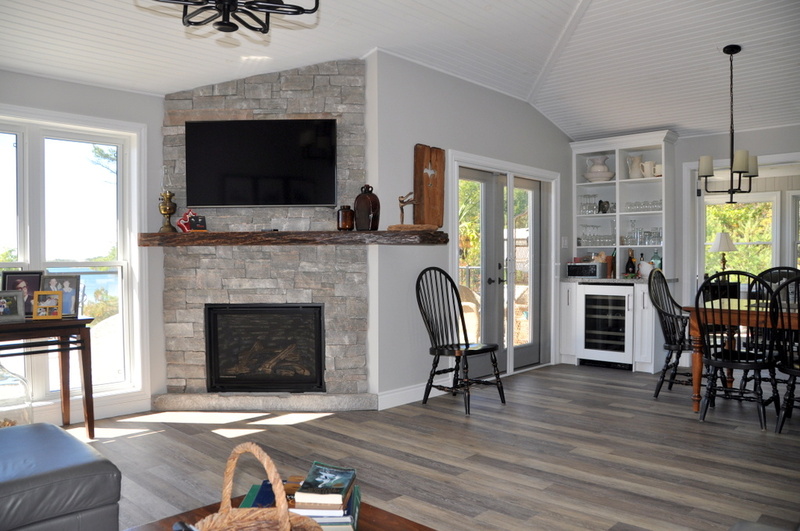 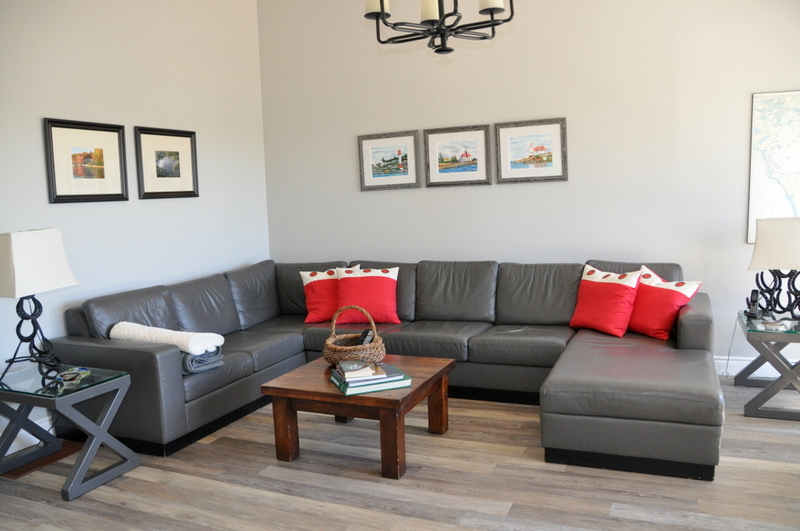 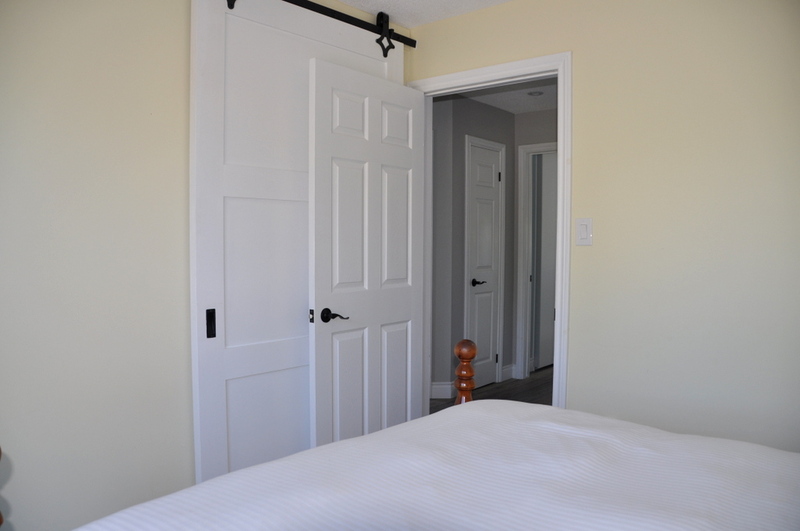 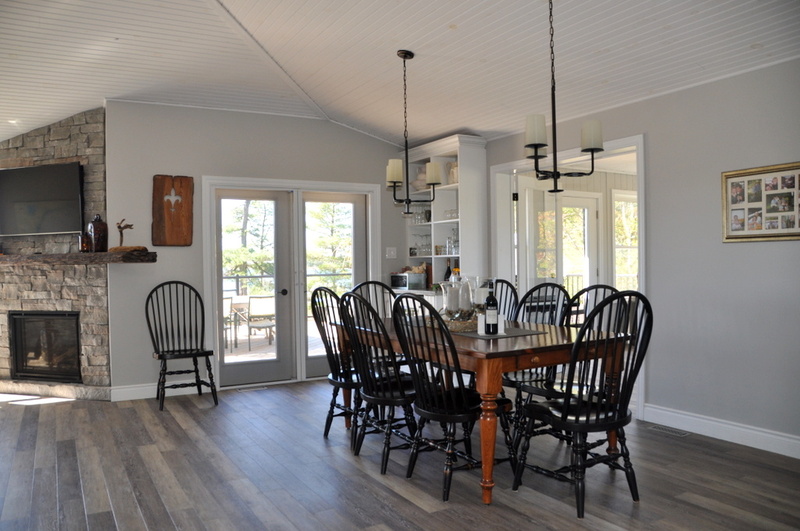 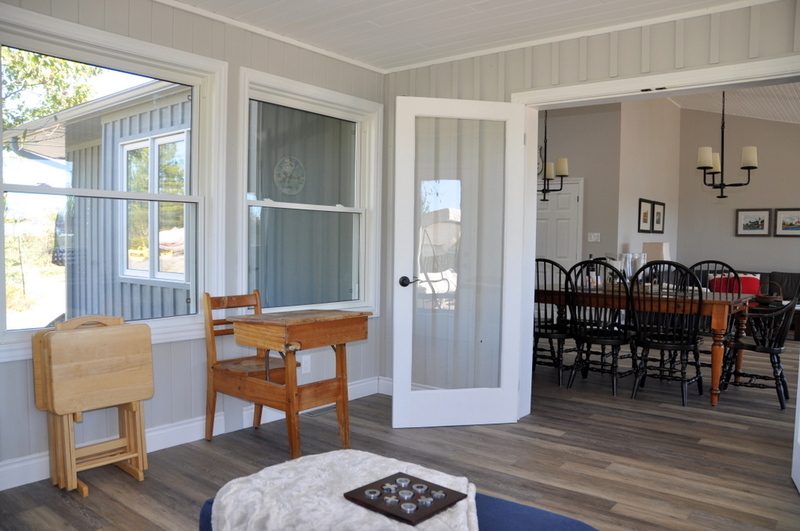 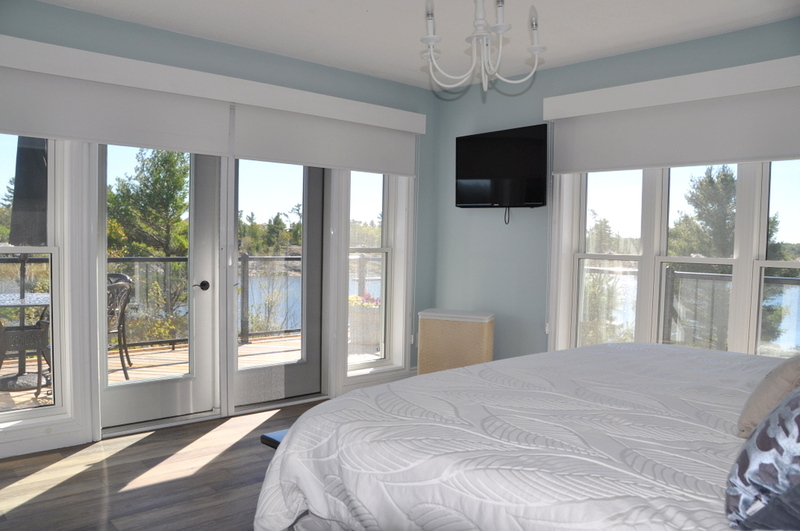 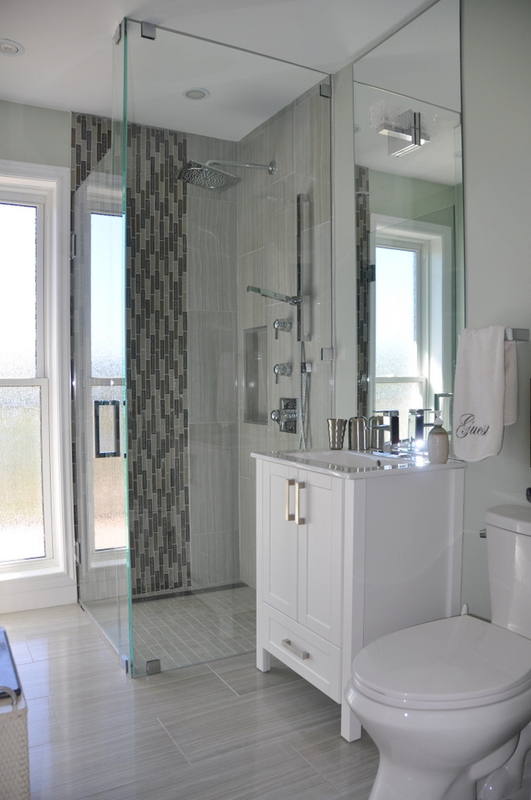 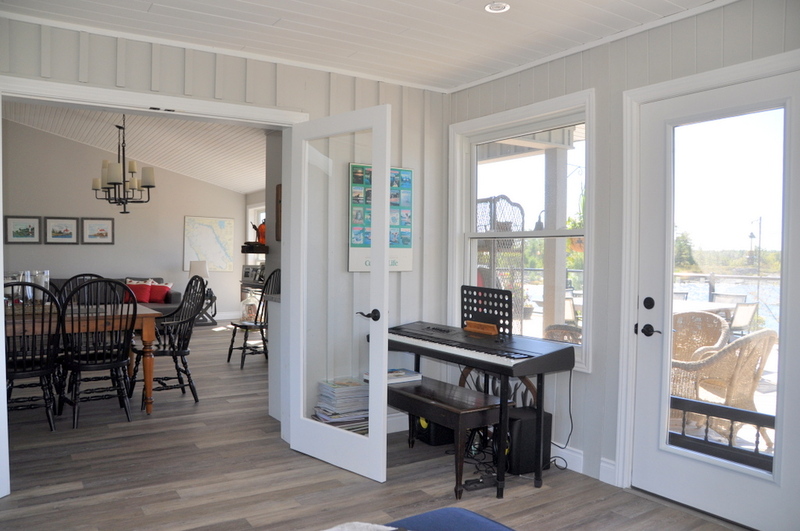 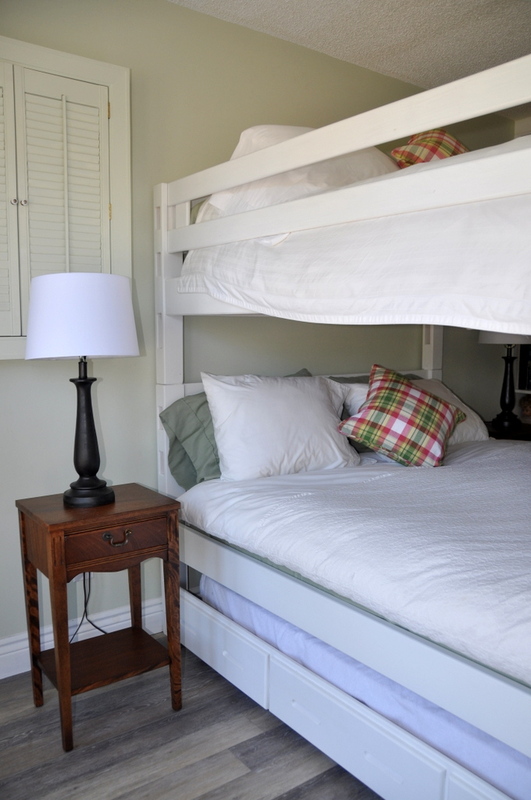 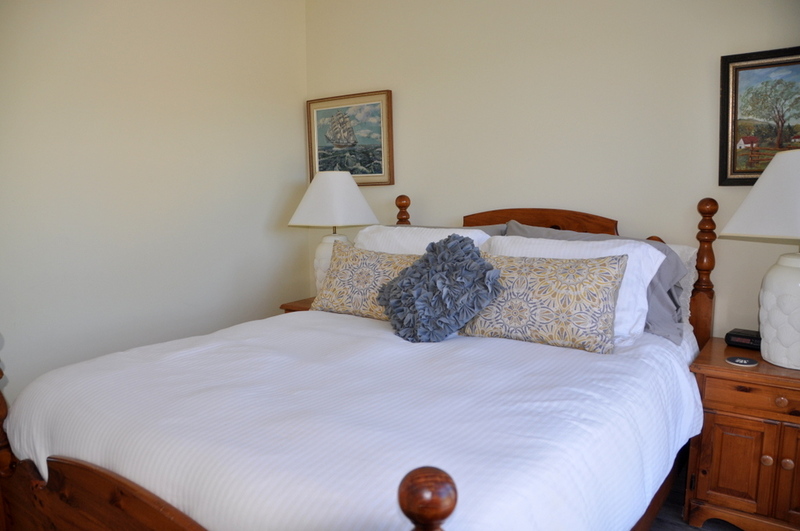 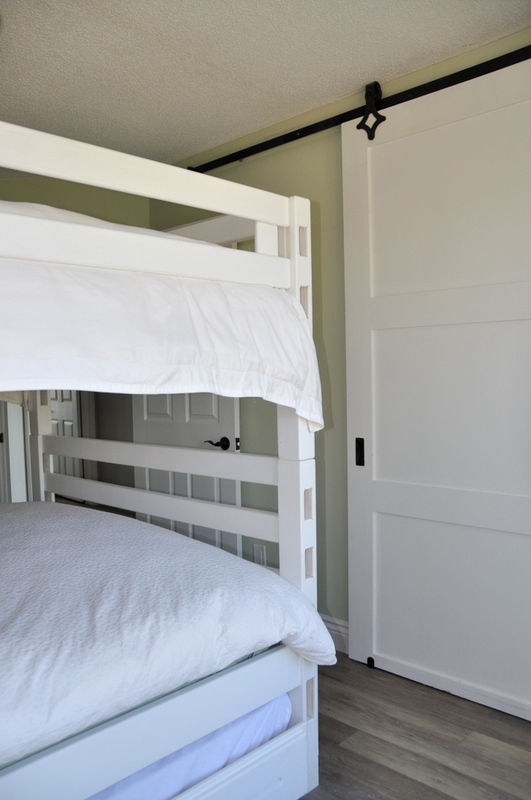 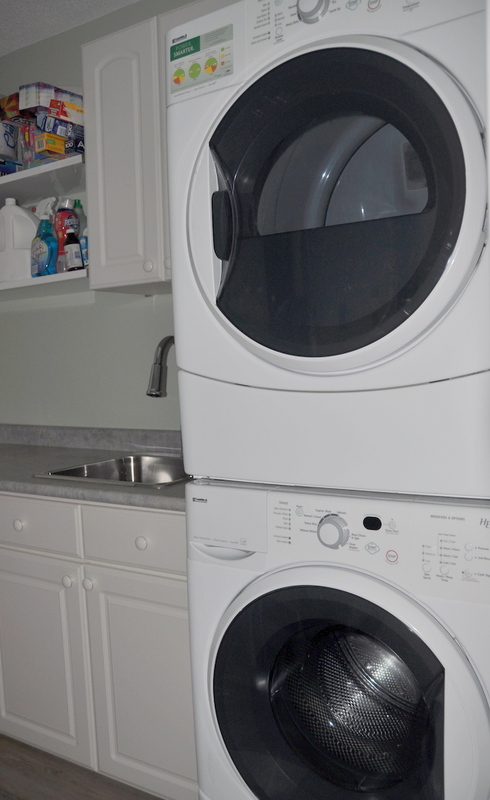 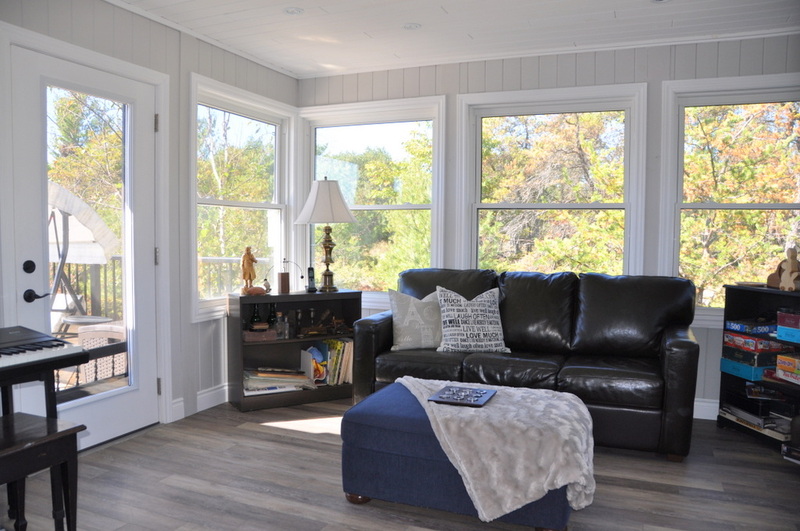 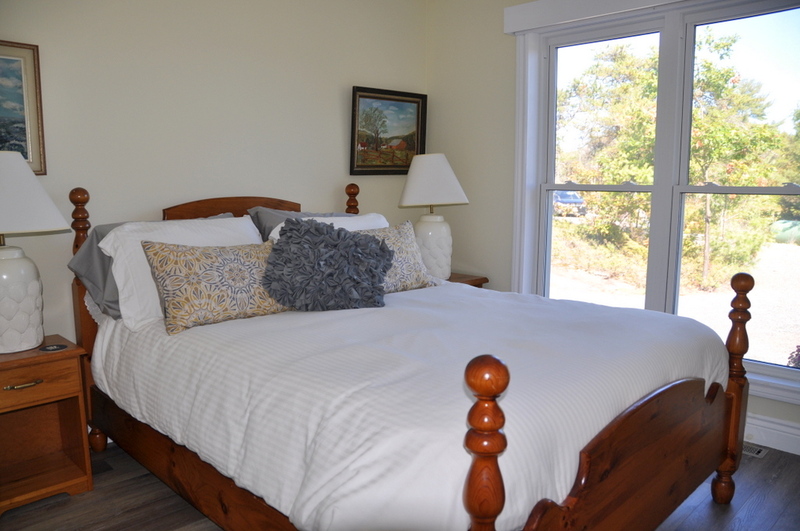 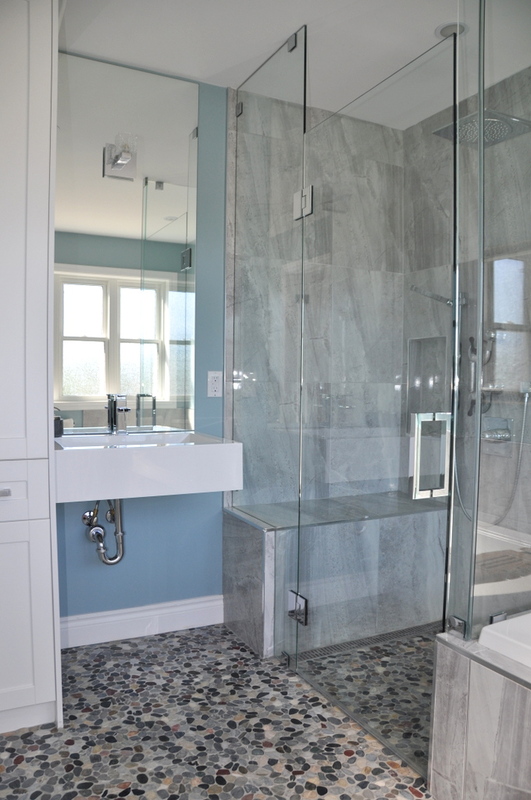 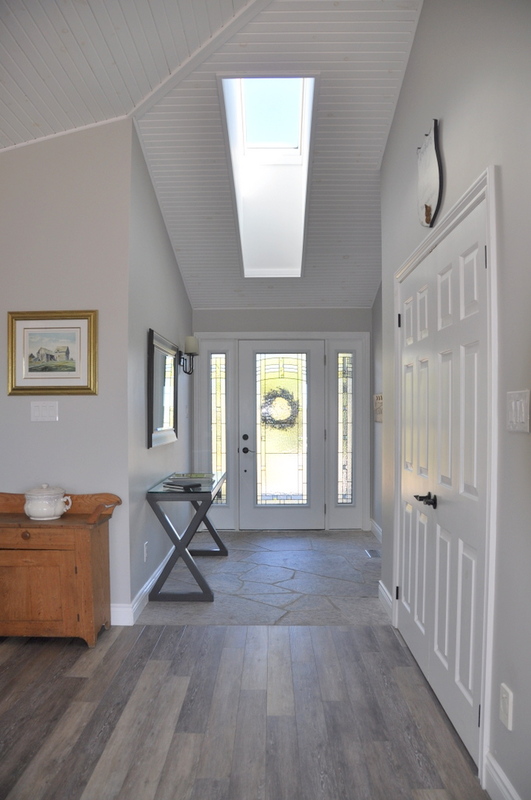 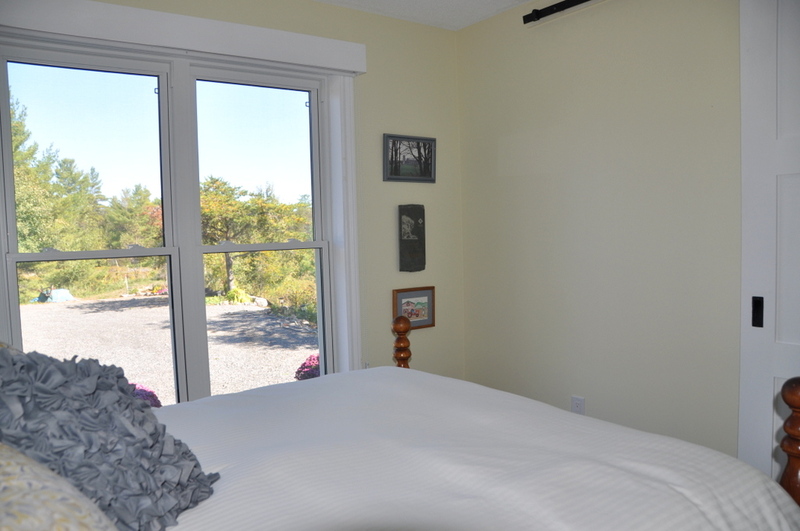 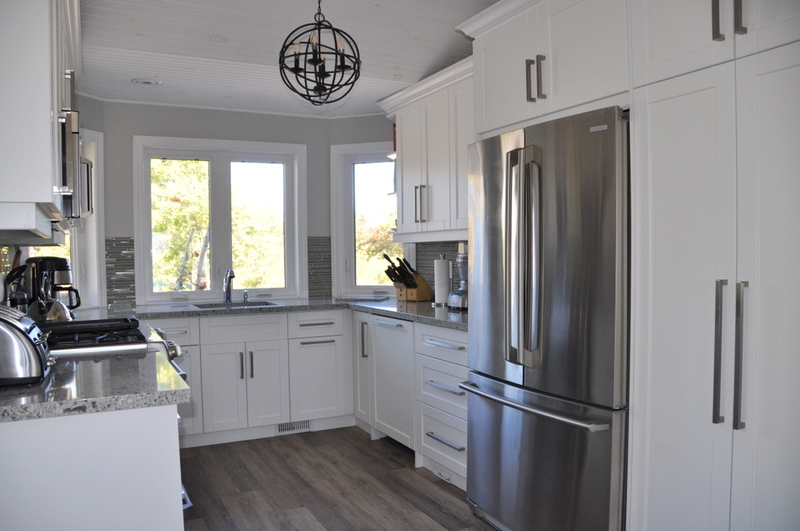 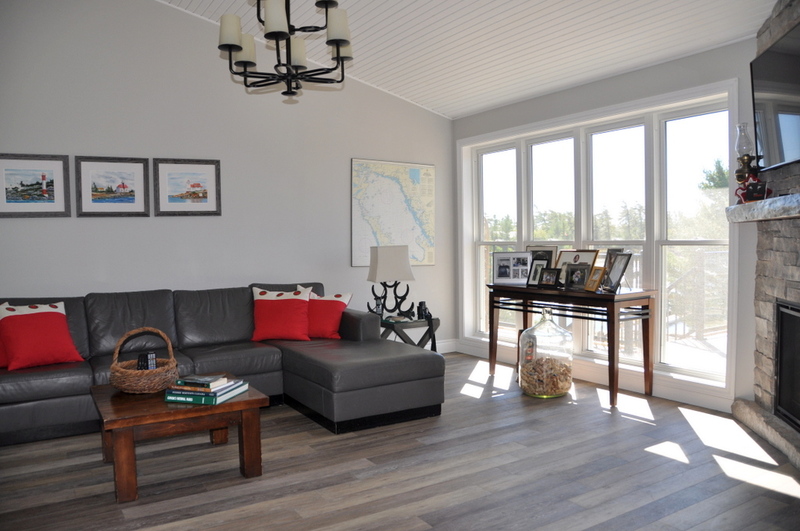 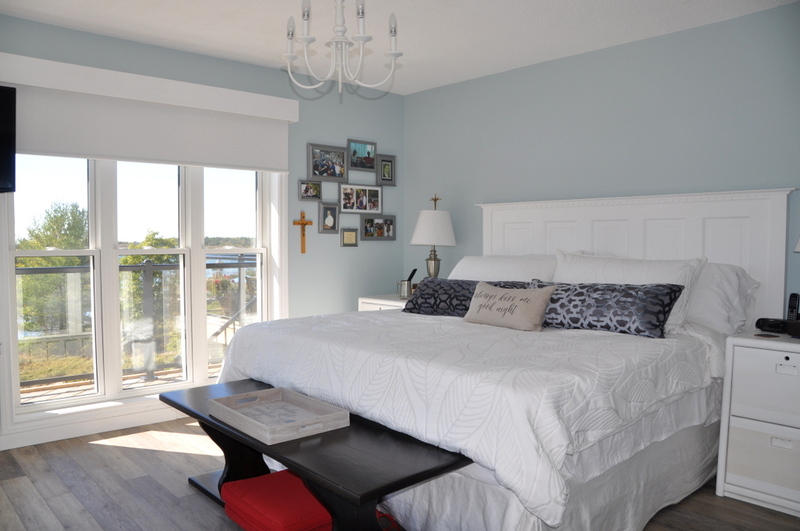 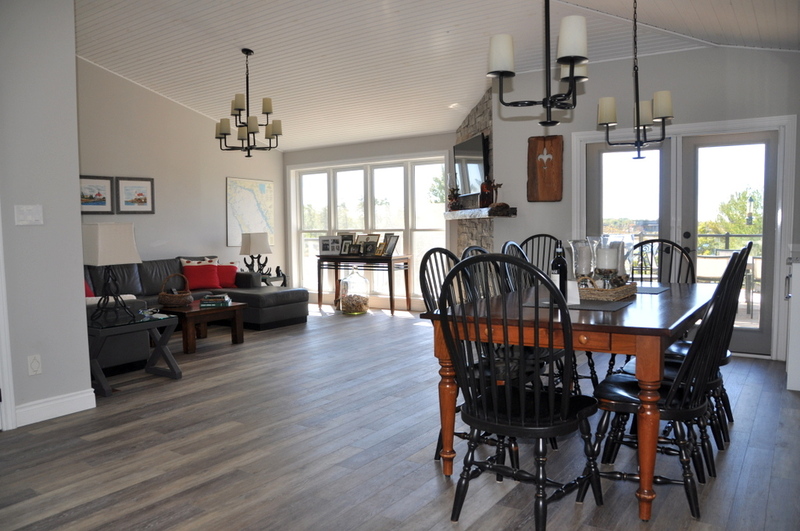 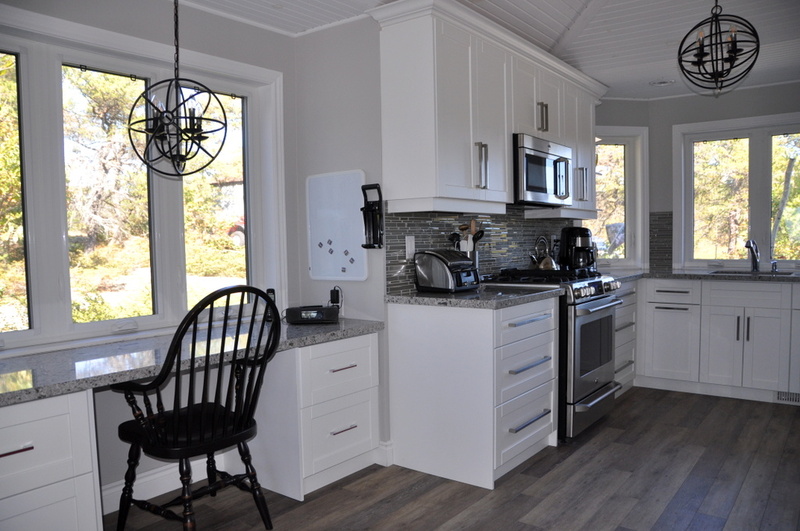 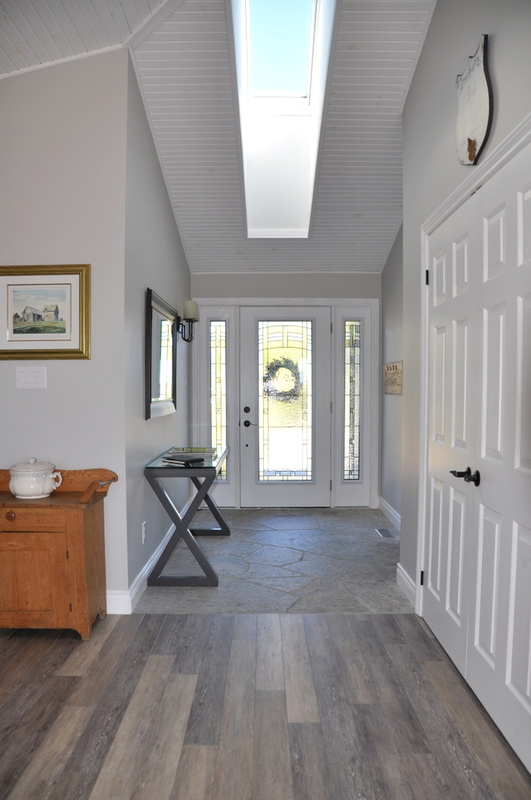 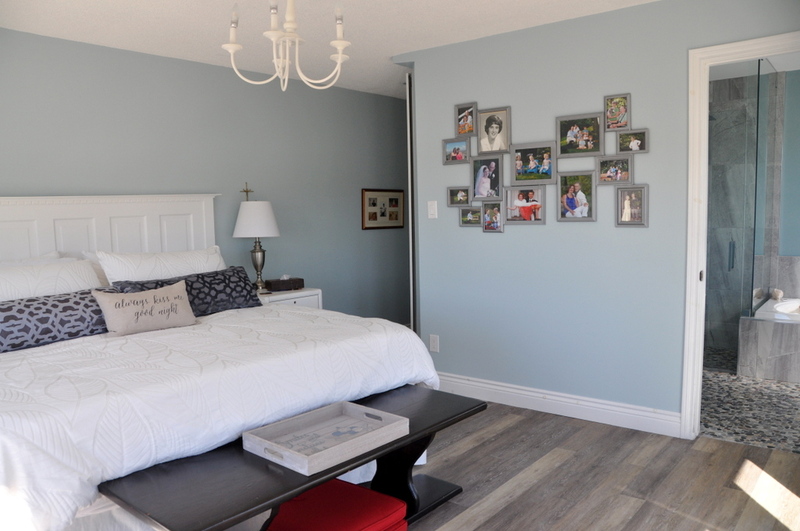 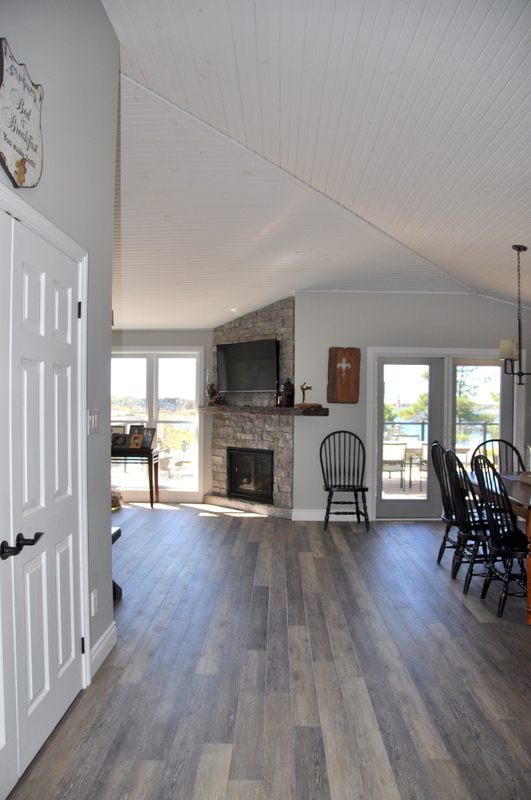 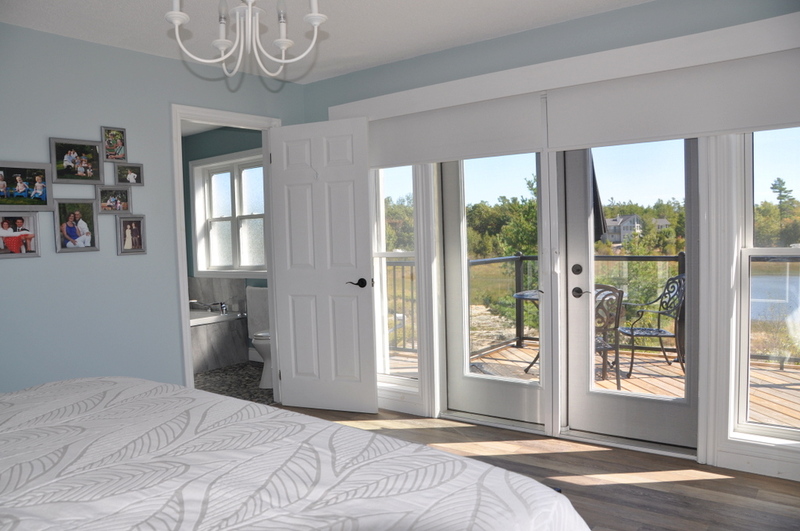 ft. cottage was recently renovated with comfort and style and every attention to detail being of the utmost importance. 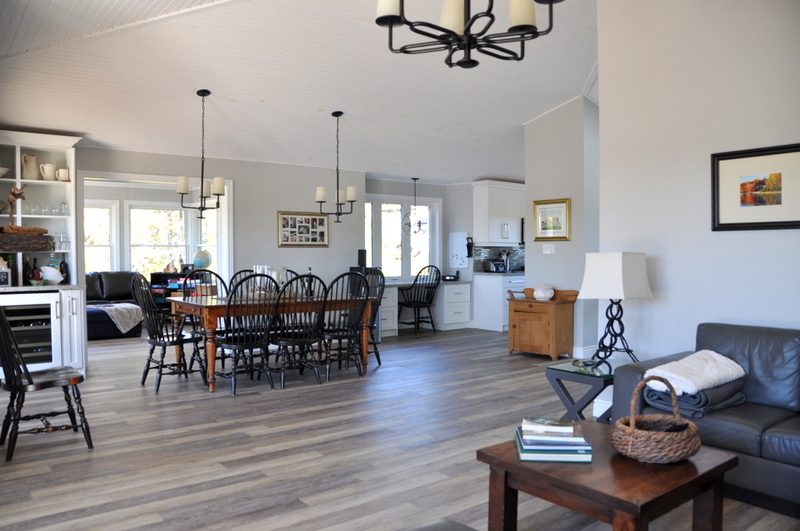 The open living/dining/kitchen area is bright and spacious with an abundance of windows providing a great platform for spectacular views of the rugged Georgian Bay landscape. 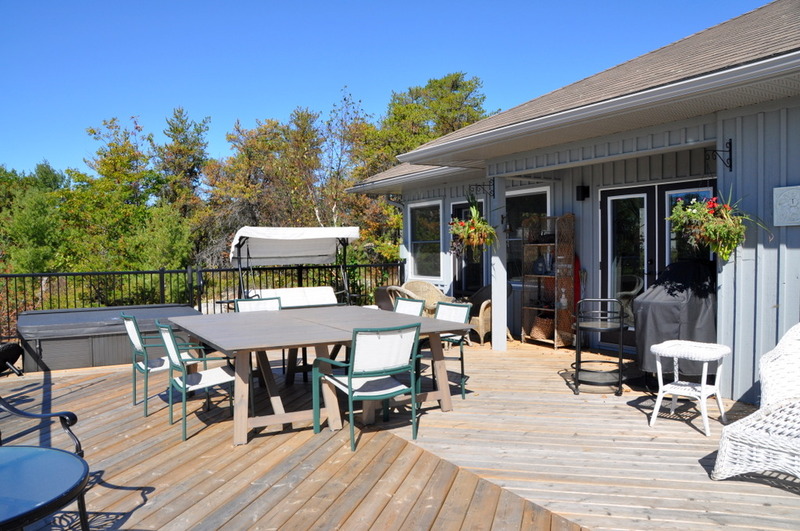 Two bedrooms face the wooded driveway and share a beautiful 3-piece bathroom, complete with a rain shower, while the large master bedroom with its 4-piece bathroom (also complete with a rain shower) face out to the lake with a private walk-out to the deck. 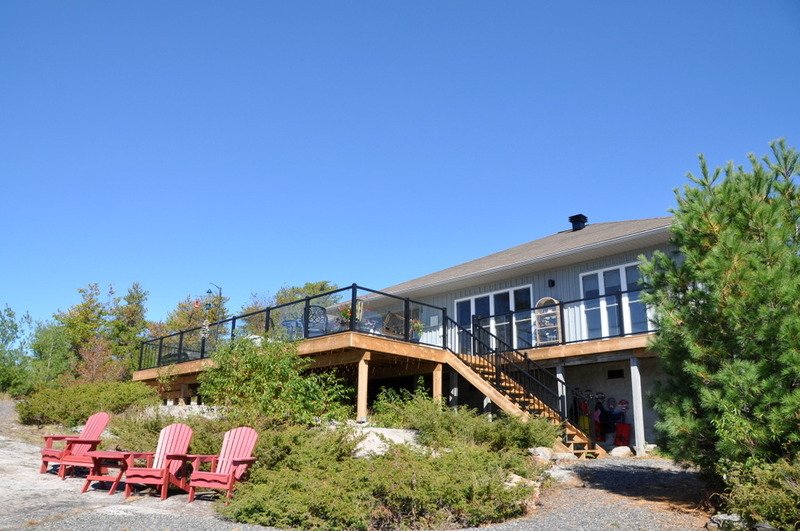 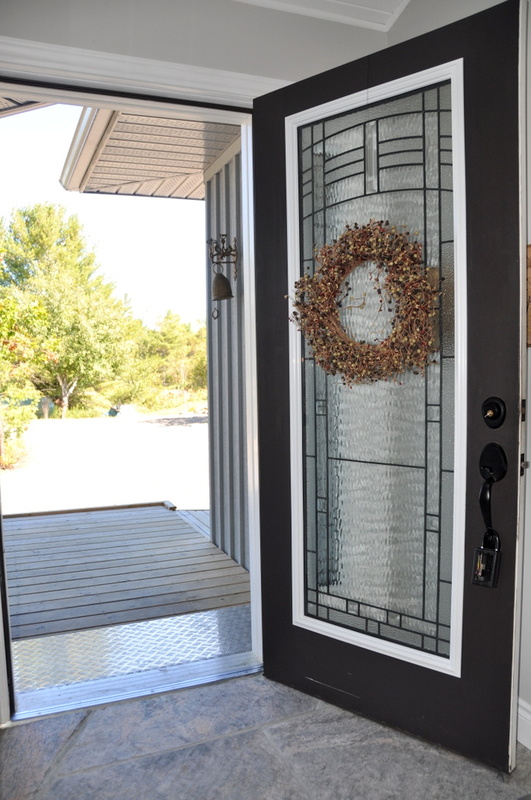 There is easy access from the cottage to the lake with a gently sloping gravel pathway taking you down to the dock. 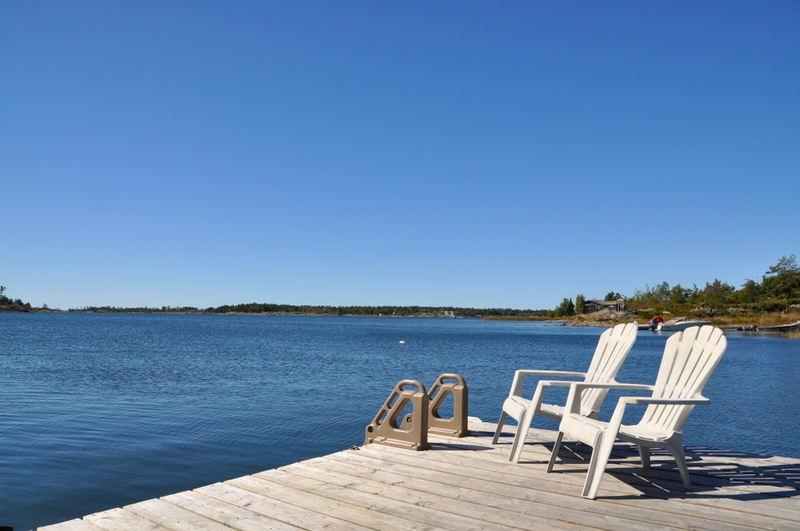 With a south west exposure, enjoy sunshine all day long and linger for endless hours in the wonderfully peaceful setting. 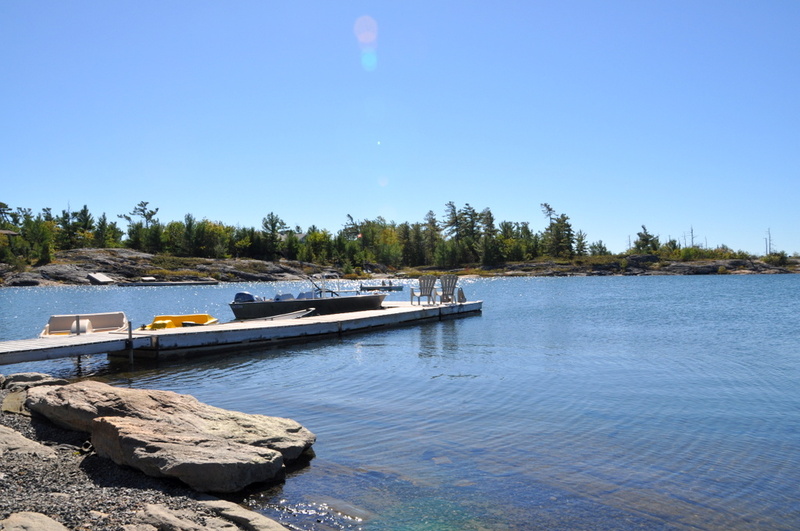 Does and fawns have been spotted frolicking in the shallows and many passing ducks and loons are daily visitors with an occasional otter making a guest appearance on the dock! 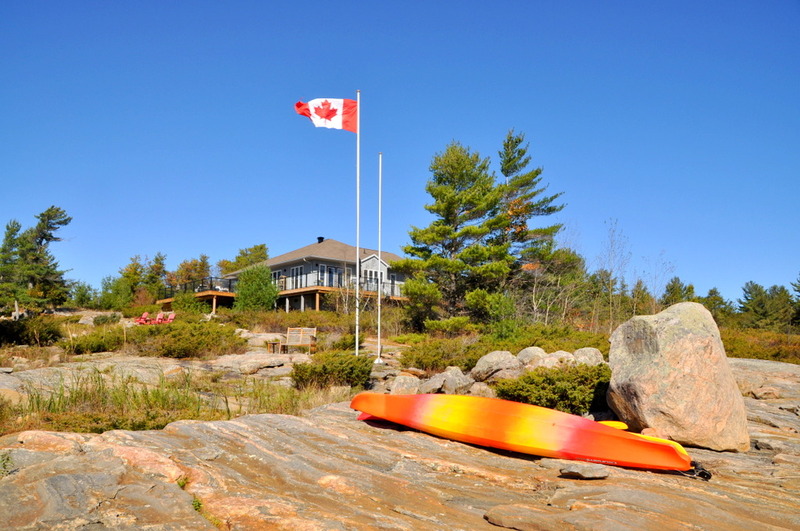 The canoes and kayaks are a wonderful way to explore the infinite number of bays and further shores. 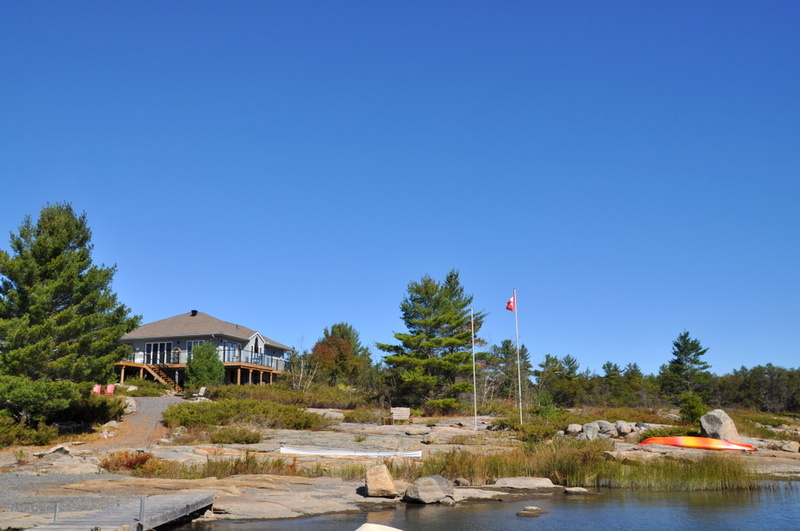 Franklin Island, a conservation area, is just across the channel. 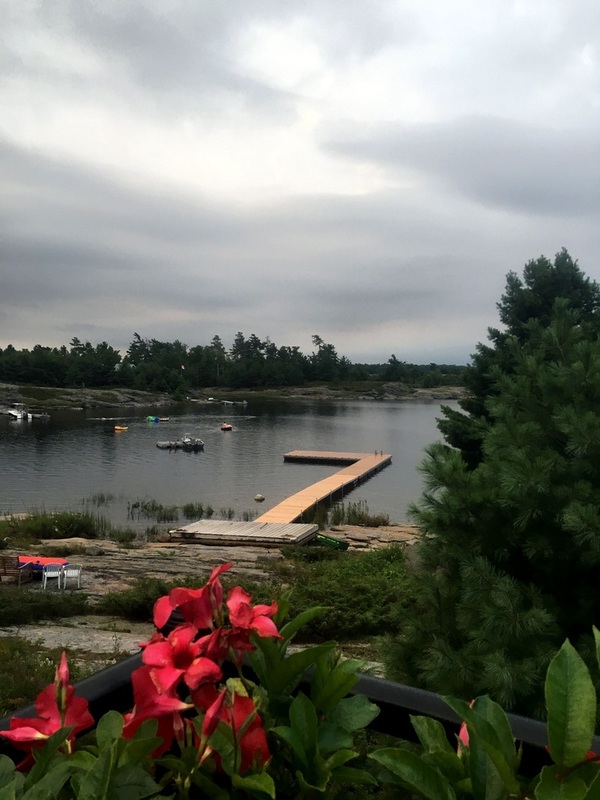 You can see the main channel leading to Point au Baril to the north down to Snug Harbour and Parry Sound so there is always something to watch on the water. 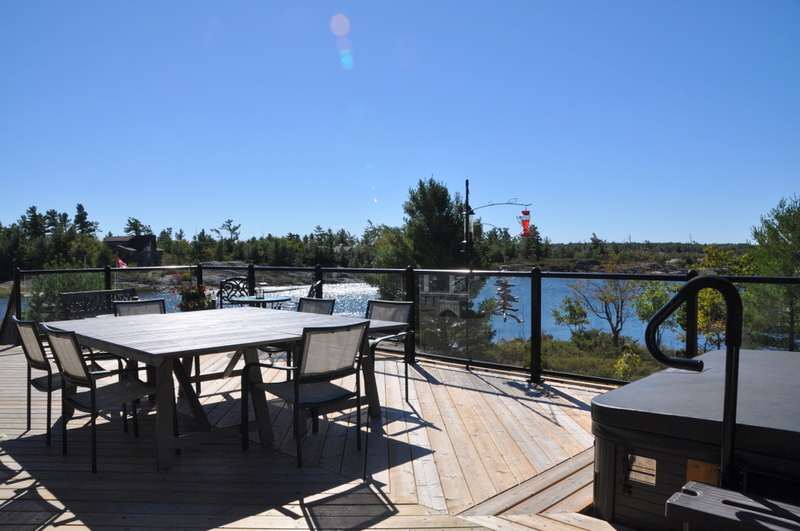 As the sun begins to set, relax on the deck while barbequing dinner and as it gets a little cooler settle into the Muskoka room with the same sweeping views of the waterfront and sip on after dinner drinks. 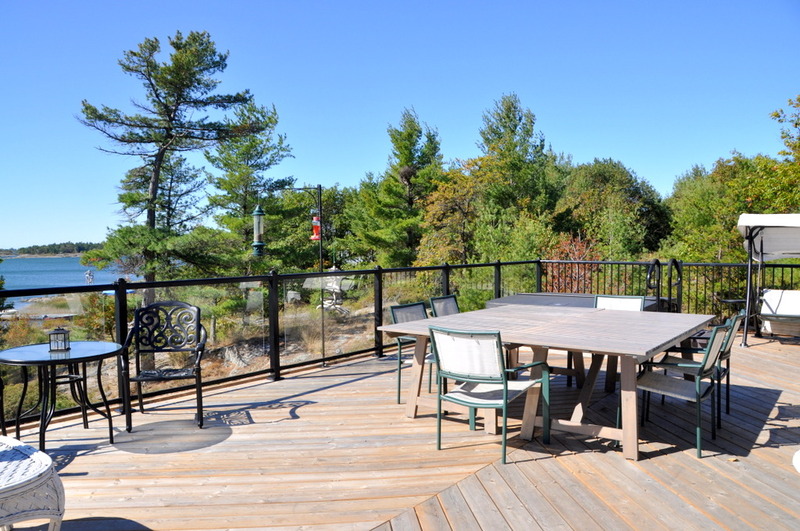 But warm or cool, no cottage night is complete without gathering around the fire pit and reliving the day’s adventures as the sky fills with a blanket of stars…life is good! 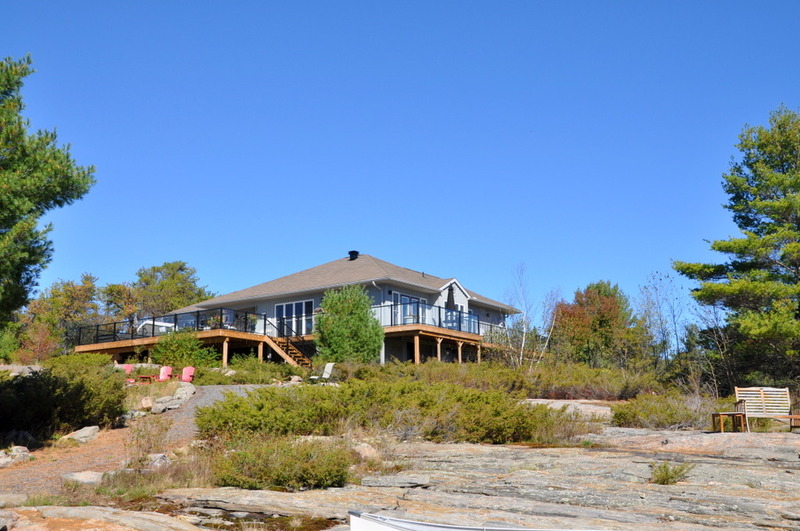 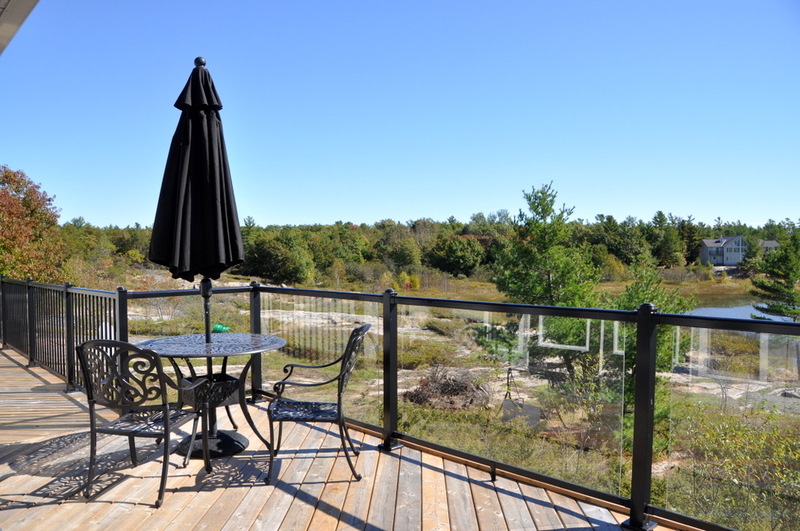 LOCATION: About 2-1/2 hrs north of Toronto, and about 15 min's north of the town of Parry Sound for most all amenities. 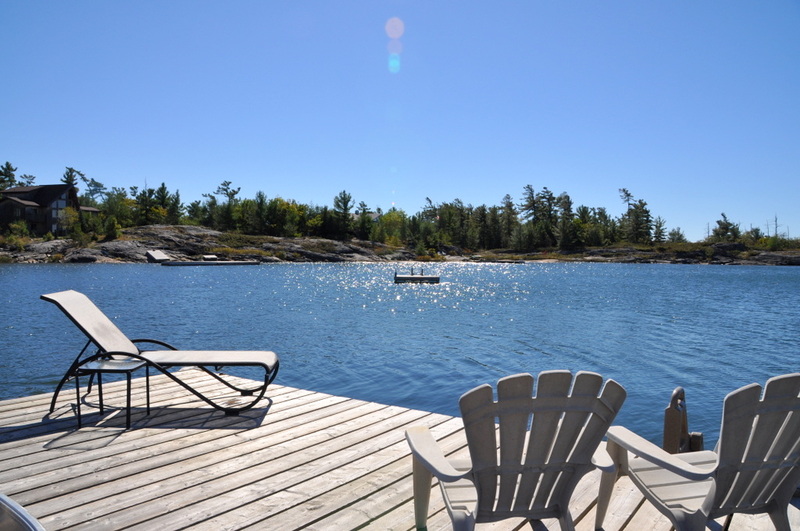 Killbear Provincial Park is close by. 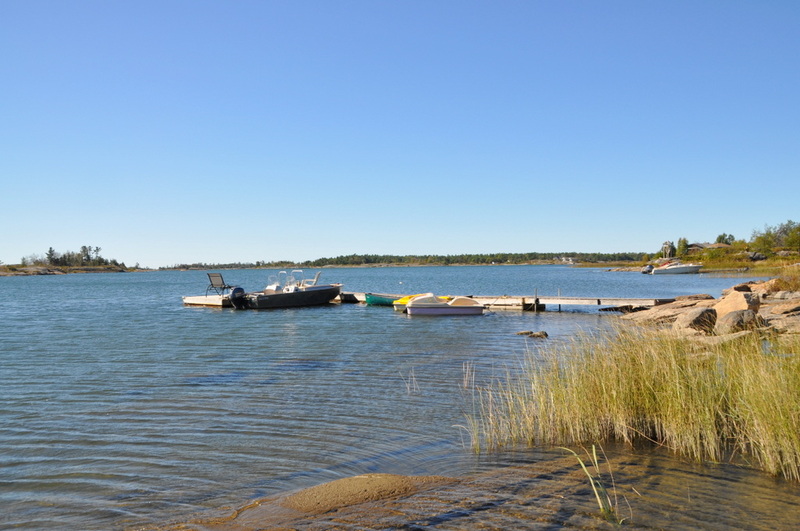 If you want to bring your boat (or rent one) there is a local boat launch and marina nearby. 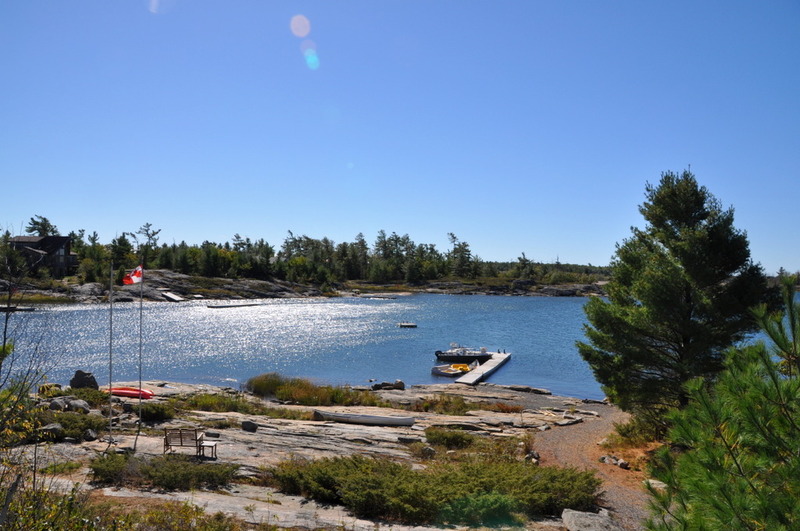 Explore the beautiful waters of Georgian Bay! 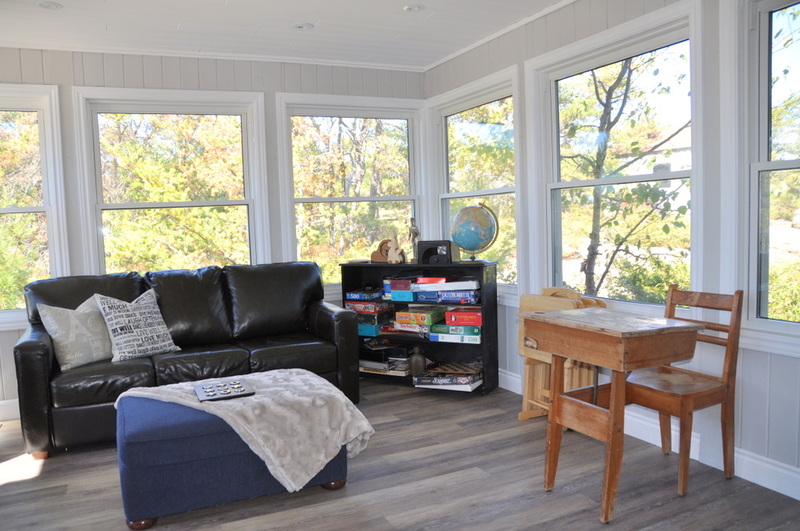 Pet upon approval (no cats), no smoking, maximum number of occupants is 8, bring own drinking water (1 18L water bottle will be supplied to get you started? 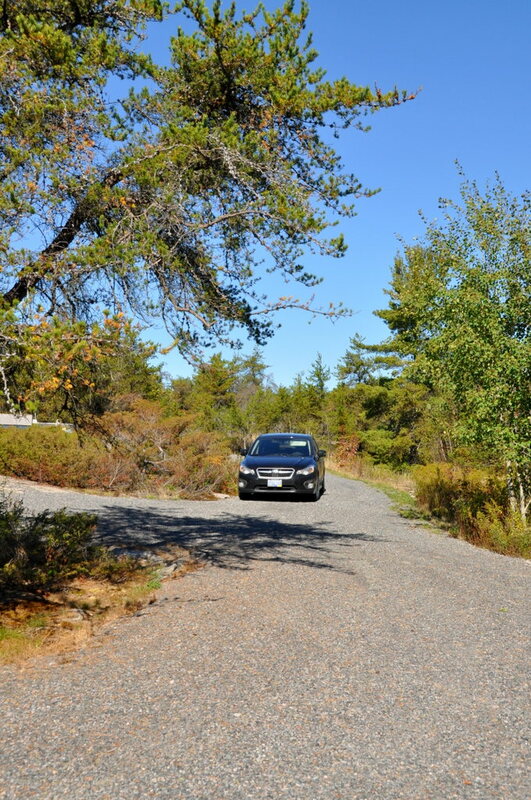 ), noise restriction after 11 PM.